From the opening notes of the climactic “Thunder Road” to the closing lines of the epic “Jungleland,” Born to Run is both an absolute masterpiece and a stone cold classic. Without a doubt, it is Bruce Springsteen’s magnum opus. Every single song is as phenomenal as next, and they all stand out on their own as their own individual entity, like works of art at a sonic art gallery. Despite the fact that each of the songs stand out, Born to Run flows effortlessly. Without question, this album is best listened to front to back, as a complete whole. The album kicks off with the classic “Thunder Road.” “Thunder Road” is one of the Boss’s better-known songs, for a good reason. The climactic nature is unconventional, yet is a perfect way to start the album: a song that starts out small, but builds and builds until it reaches the highest point possible. In 2004, it ranked #86 in Rolling Stone’slist of “The 500 Greatest Songs of All Time.” The next track “Tenth Avenue Freeze Out” is one of my favorite tracks, because of its well-structured nature. It is one of the more moderately paced tracks on the album. “Night” is similar to the title track, in its song structure, production, and lyrical themes. Having said this, it is still a dynamite song, which is still different than the title track, and is, in my opinion, often tends to be overlooked when this album is discussed. “Backstreets” is another phenomenal cut: epic, expressive, with an impressive piano section. The title track, “Born to Run,”is the centerpiece of its respective album, in both a literal and figurative sense of the word, as it kicks of Side Two of the album. It is, without a doubt, a masterpiece, and deserves every little morsel of praise that it receives. It soars to the heavens, and is intensely motivational in its delivery. It is also one of the prime examples of the wall of sound-type production that Bruce Springsteen and Mike Appel (Jon Landau did not co-produce the title track) were aiming for, and ultimately achieved. Along with “Thunder Road,” the title track also appeared on Rolling Stone’s list of “500 Greatest Songs of All Time,” ranking at #21. (As a side note, this means that two songs, from the same album, were both ranked within the top 100 greatest albums of all time. Although these lists may be somewhat biased to a certain degree, it is still one heck of an achievement.) Coming right after the title track is the majestic “She’s The One,” which is also one of my favorite songs. In fact, it is so well constructed that it is unbelievable. It is almost like a sort of grand cathedral-like musical architecture, in the way that Bruce Springsteen’s rough-around-the-edges voice soars to the heavens. Between the glorious “She’s The One” and the 9½-minute closer that is “Jungleland,” is the perfect bridge between the two songs, with “Meeting Across The River.” In my opinion, “Meeting Across the River” is one of the most overlooked songs of all time. It is by far the softest track on the album, with only pianist Roy Brittan providing a rolling piano rhythm to back Bruce Springsteen’s voice, with Clarence Clemons (R.I.P.) sprinkling flashes of dark brilliance throughout. It also a very dark song, and is by far the darkest track on the album. There is a magical quality about “Meeting Across the River” that is hard to explain, however. In fact, whenever I think about this song and whenever I hear it in my head, there is a sort of dark sublimity that overshadows all of my emotions that I am feeling at that particular moment time. It is truly mystical in its lasting impression, in addition to being not to a great bridge between “. The album closes with the 9½ minute-long epic “Jungleland,” another dynamic and stunning track. “Jungleland”is another one of Bruce’s better-known songs. It is best known for Clarence Clemons’s (R.I.P.) solo in the middle and its marvelously evocative lyrics of finding love within an entanglement of urban gang conflict. It is simply a magnificent way to end the album. Overall, the most obvious aspect of Born to Runis how well constructed the songs are. In fact, it could be argued that this would be the definition of a “perfect album,” with not a single note wasted. Arguably the most overlooked aspect of this album is how intensely melodic it is. To elaborate, Bruce Springsteen is better known for lyrics and the stories that they tell, than he is a songwriterper se. Born to Run challenges this notion, as it is without a doubt one of the very most melodic albums that I have heard, by far. In fact, it could be argued that the album is not exactly a collection of songs, but rather a burst of melodic sound that is still fresh as a daisy even 37 years after it was initially released. This is despite the deceptive simplicity of this album, as there is no weird instruments, or crazy sound effects. It is almost as if Born to Run is a true “rock opera,” even more of a definitive “rock opera” than Tommy by The Who, for instance. Born to Run is also varied in its dynamics. It soars highs (“Night” and the title track), it dips low (“Meeting Across the River”), and it plateaus (“Tenth Avenue Freeze Out”). The guitars shimmer, the pianos rollick, the glockenspiels sparkle and shine, and Clemons’s saxophone injects melodic soul and passion. 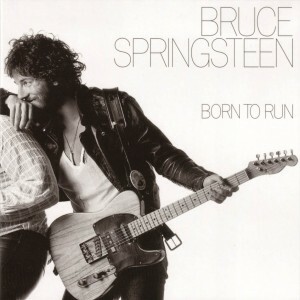 Adding on to this, Born to Run is also perfectly sequenced (“Thunder Road” and “Jungleland” are two perfect bookends for this album), making it flow effortlessly and make it an“album,” in the truest sense of the word, and not just a collection of songs. Yet it is not just an “album,” it is a perfectalbum, and I mean perfect in every sense of the word. Perfect in the way that Revolver is perfect, perfect in the way that Fleetwood Mac’s Rumours is perfect, and perfect in the way that most other classic albums are perfect. In other words, there are virtually no flaws within the grooves of the entire record, and that in it of itself, is a remarkable feat. The fact that Bruce’s songwriting tends to be overlooked is not to say, however, that one should disregard Bruce Springsteen’s storytelling-via-lyrics technique that he is best known for. On Born to Run, Bruce’s lyrics are phenomenal, as they are creative and evocative of the hell that is New Jersey in all of its working class decrepitude. To be sure, this is an album of youth and energy, yet it still transcends the very notion it. I will not quote any lyrics, however, as it would be impossible to dissect his lyrics without ruining them, or lessening their value. I will say, however, that they are very poetic and creative. Not only is the album itself incredible, but the cover art is also brilliantly iconic. The black and white photograph of the white Bruce Springsteen leaning on the black Clarence Clemons (R.I.P.) (the rest of his body is cropped out of the front cover), with a guitar in hand, is an iconic image that represents racial equality, tolerance, and friendship. The ultraslim, sans-serif font of the artist’s name (Bruce Springsteen) with the album title (“Born to Run”) gives it an elegant touch that seals the deal and makes it an instantly recognizable and iconic cover. If I were to describe this album in one word, it would be cinematic. The stunning instrumentation, combined with the wall of sound-like production –provided by Bruce Springsteen, Mike Appel, and Jon Landau –and the atmospheric, evocative lyrics and the dynamic nature of the songs make this album a truly special album to listen to. Overall, these traits combined with the iconic cover art make Born to Run one of the all-time greatest albums that was ever made by any artist, in any genre. It transcends time and place and is almost spiritual in a certain way. I would recommend this album to anybodywhom is interested in contemporary music.